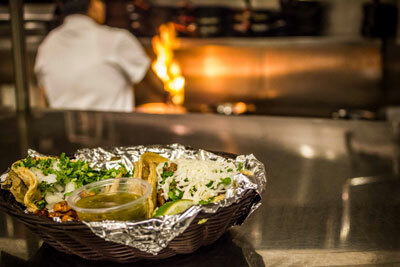 Make tonight an El Fuego Night!With authentic Mexican cuisine, El Fuego is sure to fire up your night! 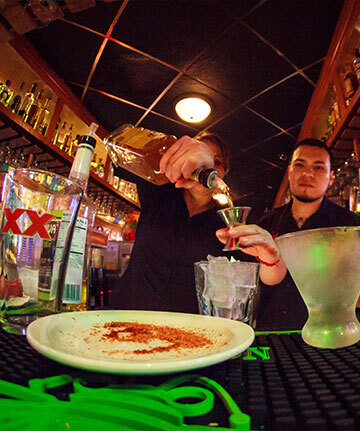 El Fuego serves Milwaukee's authentic Mexican cuisine and some of the finest margaritas in the land! 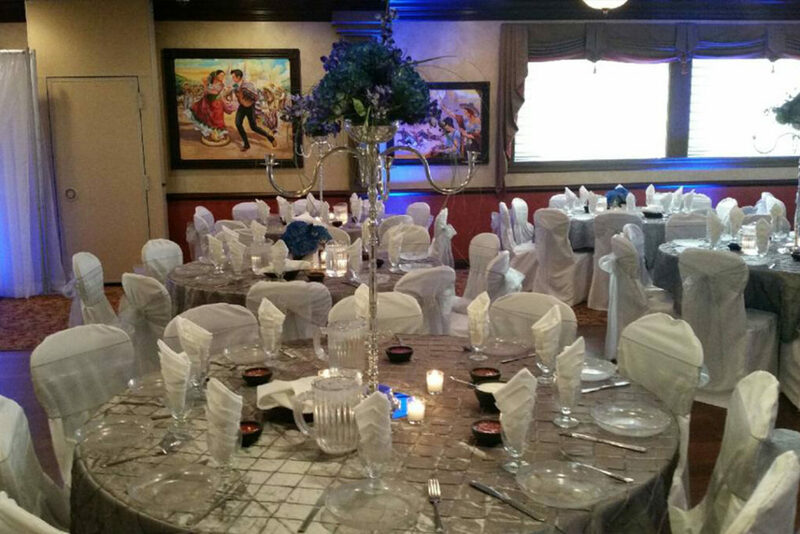 With food and drink specials throughout the week, El Fuego is the perfect stop with the family, after work with friends or even for that perfect event in our fantastic banquet space. Whatever the reason, make tonight an El Fuego night and Feel the Heat!! SpecialsAs if a trip to El Fuego wasn't special enough...check out these great deals. Food SpecialsIf great food is what you seek, why not get it for a great price? Daily Drink SpecialsEveryday of the week, El Fuego has your thirst covered with daily drink specials.. 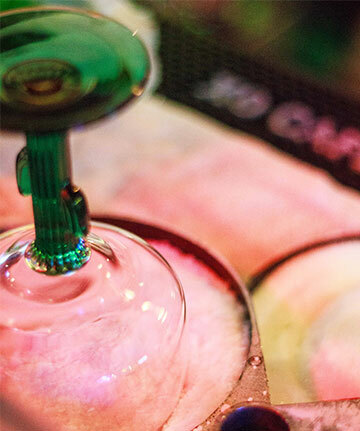 Happy HourFrom 2:30-6pm every day, we've got Happy Hour Specials! 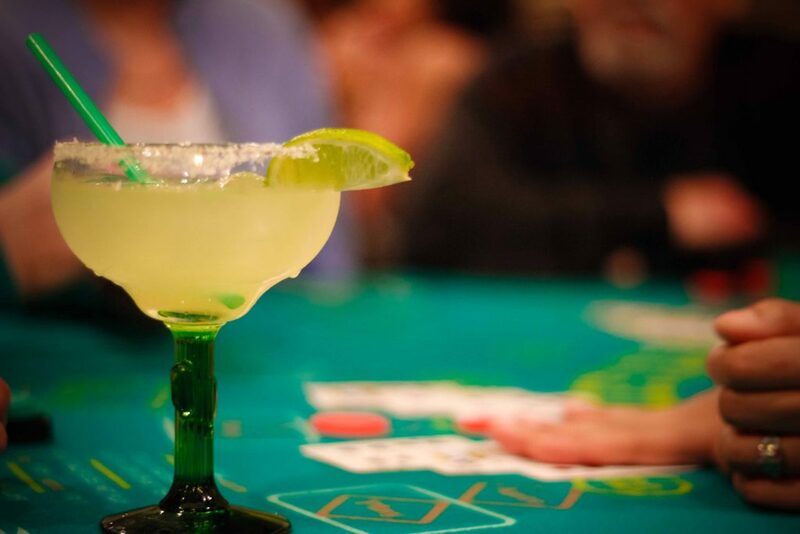 Cinco de Mayo Party!Join us for the ultimate weekend of fun, May 4th - 6th! Live Music: Friday 5:30-8:30, Saturday 6-9, Sunday 4:30-7:30 -- Drink Specials: El Jimador Tequila Features - $5 shots $7 Margs, $14 Half Pitchers $28 Full Pitchers, Happy Hour 2:30 - 6 Each Day, $7 Jose Cuervo Gold Margs on Friday, $6 Black & Blue Margs on Saturday -- Daily Chef Specials -- Free Prize Giveaways! Our menuWith so many great options filled with flavor and spice, you'll feel like you were transported to Mexico every time. Shrimp sauteed with pineapples, peaches, olives, onions, tomatoes and Mexican chilies. Shrimp with fresh jalapenos and onions seasoned and sauteed to perfection. Chihuahua cheese, pico de gallo, black beans, sweet corn, avocado and cilantro. Private EventsThe perfect space for any type of event. We know that your wedding is the most important day of your life. We want to make it perfect with our blend of delicious cuisine, sophisticated atmosphere and the staff that will make you feel as important as you deserve. Are you in need of more space for a private party to celebrate a special occasion? Between the unbeatable atmosphere, a menu that will blow your party away and a great location, El Fuego can turn your party into a Fiesta! 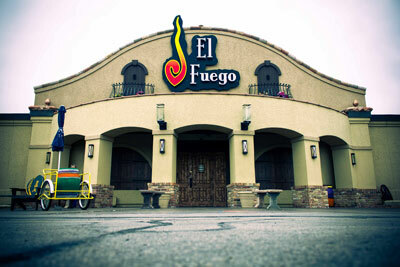 Whether it's a holiday party or Vegas Night, El Fuego can accommodate your corporate needs in its banquet facility. You let us know what you need and let our banquet advisors handle the rest. We've got you covered. Our event specialists are ready to help you get started. Click the link below and we will be in touch to discuss how El Fuego can make your event as magical as it should be! Inquire about your Private Party! 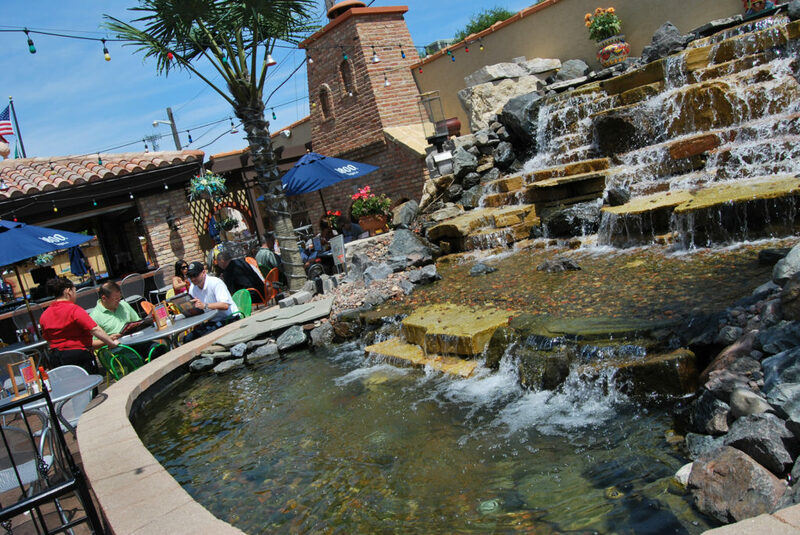 "El Fuego is as pleasant as it is attractive, with affordable prices and authentic character. Sit underneath a palm tree near the waterfall." Stepping into the popular El Fuego is a wonderful sensory bombardment...It keeps the energy of the customers and servers up and contributes to a party-like atmosphere. 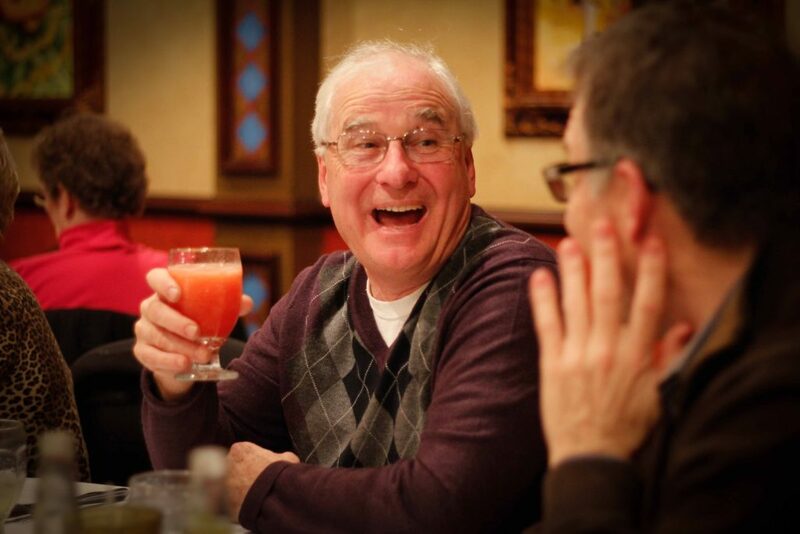 El Fuego is a fun restaurant to have a celebration, especially if you’re looking to celebrate outside on a patio secluded from busy Layton Avenue. If a continuously packed parking lot doesn't give you a preemptive clue, El Fuego, 909 W. Layton Ave., is the most popular dining spot to rear its head on the street in decades, maybe ever...The restaurant, whose name translates to "the fire," has lit a fire in the bellies of many South Side diners, creating an already loyal and large following from seemingly north, south, east and west.